Ringing Bells Freedom 251 collected plenty of headlines because of its cheaper price. Champ1 C1 is now coming the market with unbeatable price on the flash sale. The chinese phone will be available from ChampOne brand. 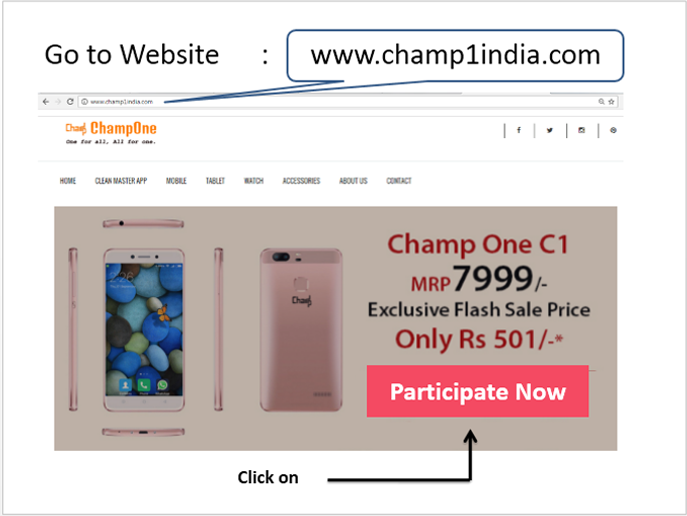 ChampOne is new brand in India and they decided to launch the mobile phone through flash sale. Flash sale mechanism has been grown over the years because of its widespread popularity. Many big brands like LeTV and Mi had entered into the Indian market with the same marketing technique. The company is providing new android phone for less than 1000 rs in the market. The mobile comes up with a tag price of 7999 Rs but as the flash sale will be available today, it will be offered for a discounted price of 501 rs on Cash On Delivery. Company is not taking any advance payments from the customers. One of the prime reason for not taking advance payments could be the cancellation issue in future. The mobile has really great features, brand trust will be the only issue. Smartphone manufacturer company had earlier scheduled the flash sale of Champ1 smartphone on 2nd of September. But on the date, server of the company ditches the luck and they need to postpone the sale of Champone android phones. The mobile phone is packed up with all the latest features. It has a 5.0 HD IPS Display which is quite big than the Freedom 251 and also offers as great space to watch films and movies. The mobile is accompanied with Android 5 which is one of the latest in most of the smartphones available in the market. Along with that Champ1 also comes with 4G LTE connectivity which ensures you can use your JIO sim to browse internet on this mobile device. With the basic features, it also comes with great 8 MP rear camera which should be enough to click selfies on the go. One will need to go to the official site of ChampOne smartphone and wait for the link to appear. After few minutes, link would be clickable as the countdown goes out of the clock. First go to the mentioned website, the mobile will be available only on the given URL. Keep on refreshing the page during the time. Refreshing is the only way your ‘Participate Now’ button will appear when clock ticks the time. 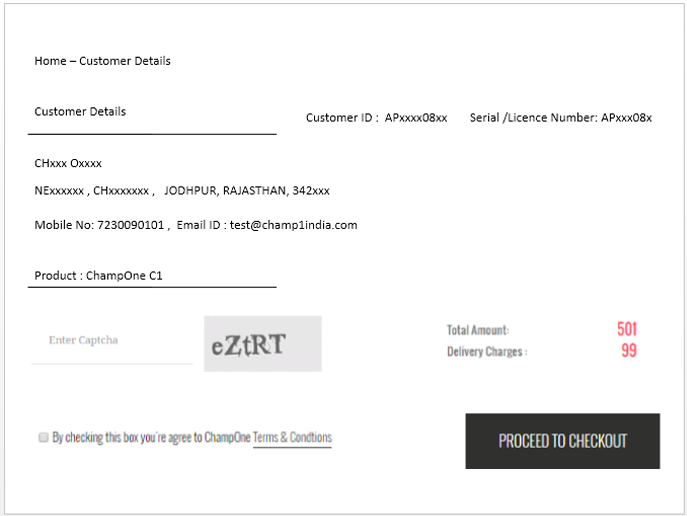 After that, Enter your basic details and confirm purchase of Champ1 for 501 rs. 99 rs delivery charged will be applicable. Next articleDWTS Winner 2016: Who Won Dancing With The Stars Season 23 Title?